Banana Republic is an American retail company owned by Gap Inc. This high-end casual clothing store offers European-influenced styles and exclusive collections. With apparel ranging from suits to dresses to sweaters, Banana Republic has become the brand for business fashion. With Big Apple Buddy’s personal shopping service, you can now buy direct from the Banana Republic online store anytime, anywhere. This is the softest sweater you'll ever own! The Todd & Duncan Cashmere Elbow-Sleeve Pullover is perfect for those chilly nights. You'll never want to take it off with 100% cashmere material that will make the sweater comfortable to wear all day. Combine it with any jeans, pants, or skirt! The cocoon color of the pullover is the perfect match to your outfit. Best of all, it'll keep you cozy no matter what. Show off your attitude with Banana Republic's Leather Shell! 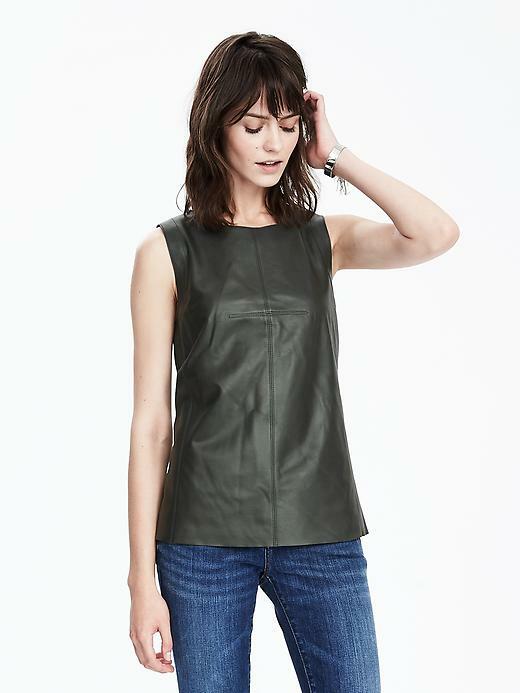 This full leather sleeveless shirt will spice up your outfit and rock any night out. It molds nicely to your body while remaining cool and comfortable throughout. Release your inner biker chic style with this fun and daring leather shell. Whether it's hot outside or starting to get cooler, this is the ideal top for any occasion and weather. 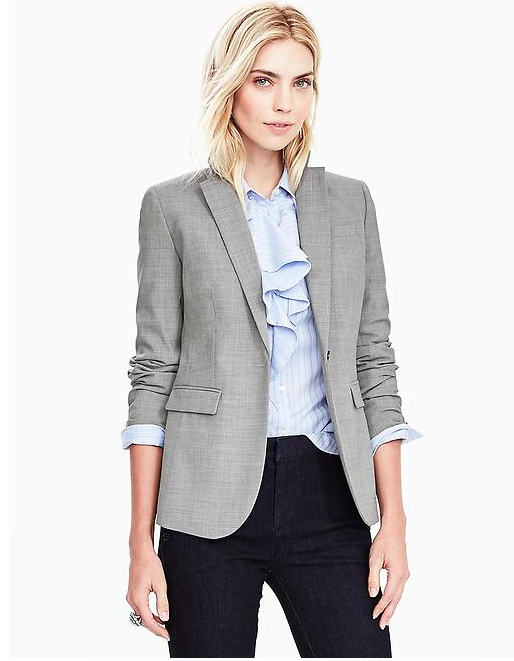 Stay professional with the Banana Republic Gray Lightweight Wool Blazer. This sharp blazer is perfect for a business casual occasion - with a tailored fit, flap pockets, and one-button closure. You won't feel stiff with this comfortable blazer that offers breathability and comfort no matter what you wear underneath. It's soft to the touch and can be combined with any of the Banana Republic blouses. Unfortunately, the USA Banana Republic online store does not currently offer international shipping. However, Big Apple Buddy, your personal shopper, can help you buy products direct from the official USA Banana Republic online store and ship them to your doorstep, no matter where you are in the world. If you would like to buy from the USA Banana Republic online store, simply let us know which items you would like to order (by filling out the form below) and we’ll get back to you with a free international shipping quote within 24 hours!